In this Atlas of Tumors of the Pancreas, Drs. Hruban, Pitman and Klimstra succinctly summarize the clinical literature, but concentrate on both new entities an new concepts, described since the publication of the Third Series Fascicle, ten years ago. The illustrations (with the exeption of radiographs and electron micrographs) are in color, and tumors are presented in detail. The continuing importance of tumor morphology in directing molecular studies is appropriately emphasized. 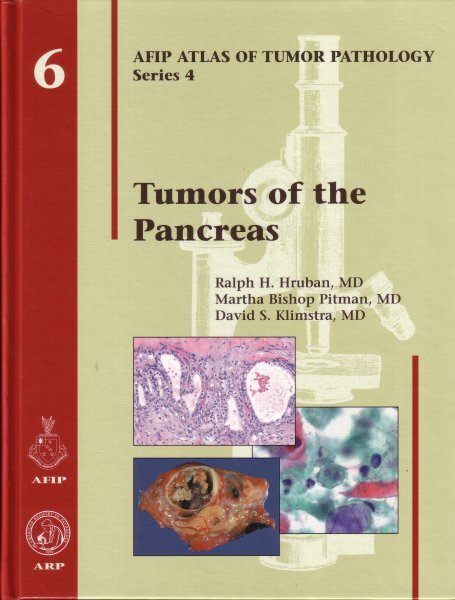 In addition to the extensive discussion, illustrations, and up-to-date referencing of the numerous pancreatic tumors and tumor-like lesions, important discussions habe been provided on normal gross, histologic and cytologic findings, and on pancreatic tumor staging. These discussions compliment the author´s treatment of the often confusing issue of frozen section interpretation, dissection, and reporting of pancreatic resection specimens, and an "unknown" pancreatic biopsy or cytology specimen.